Please choose the colours for your flowers. You can choose up to 5. 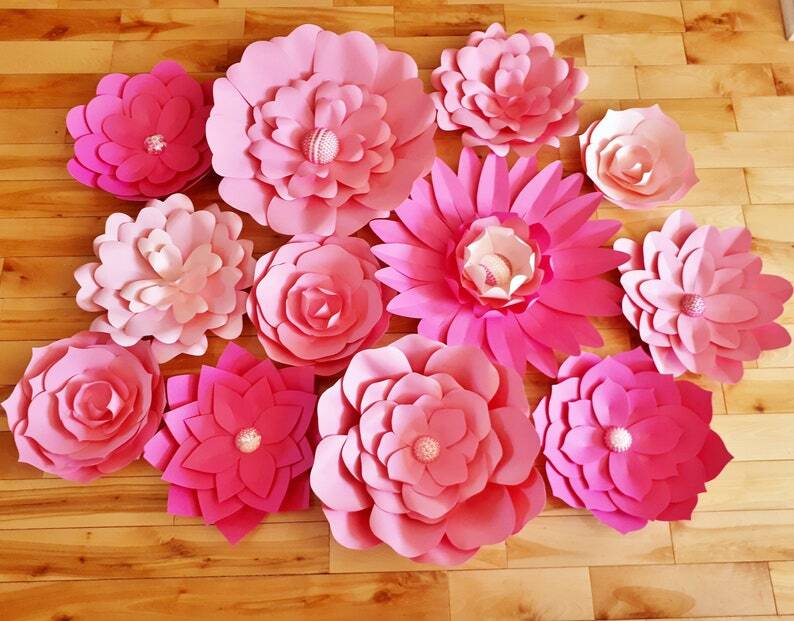 A Paper Flower Set of 13. Perfect as a wedding backdrop, baby nursery wall decor, flowers for a photo booth, or as decor for your bridal and/or baby shower. Flowers come completed (no assembly required). Offering a varied look with flowers ranging in sizes of 6 inches to 20 inches in your choice of up to 5 colours. You can hang using Wall Adhesive Strips (Command strips are great brand) to attach directly to a wall or you can attach the set to foam board(s) using hot glue. 20% off all items in our paper flower backdrops section!